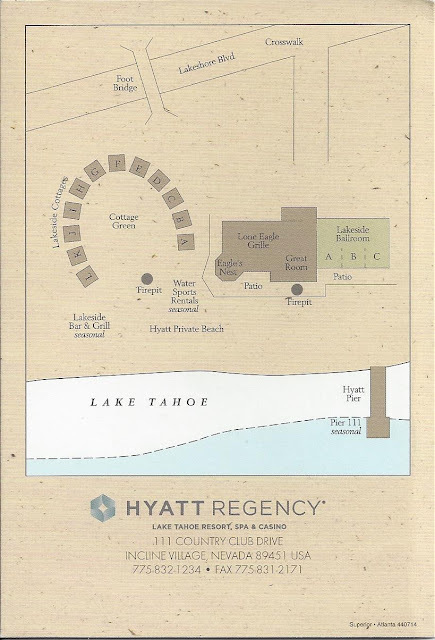 The Hyatt Regency Lake Tahoe Resort, Spa and Casino is located on the North Shore of Lake Tahoe in the city of Incline Village, Nevada. The Hyatt Regency is located 35 miles southwest of Reno and 100 miles northeast of Sacramento. 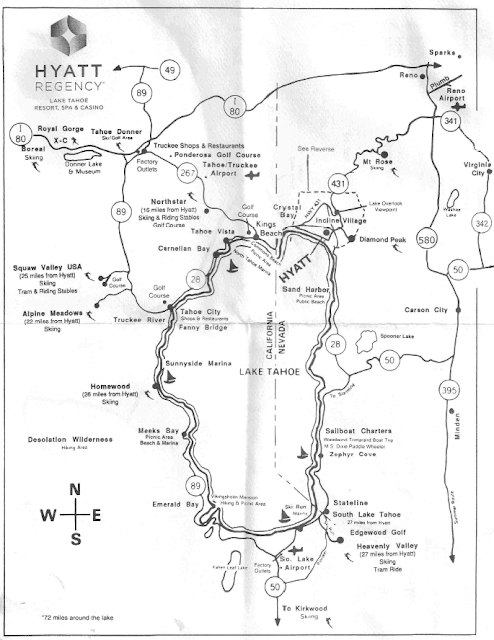 Locally it is approximately 15 minutes away from Northstar and a few minutes away from Tahoe City. 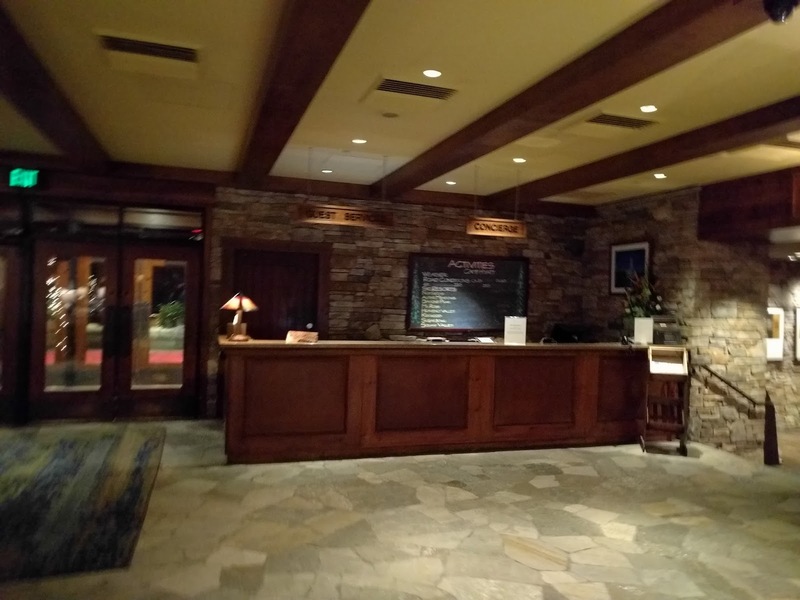 The overall property features a hotel, restaurants and residence club overlooking the North shore of Lake Tahoe and set in a very nicely landscaped resort. 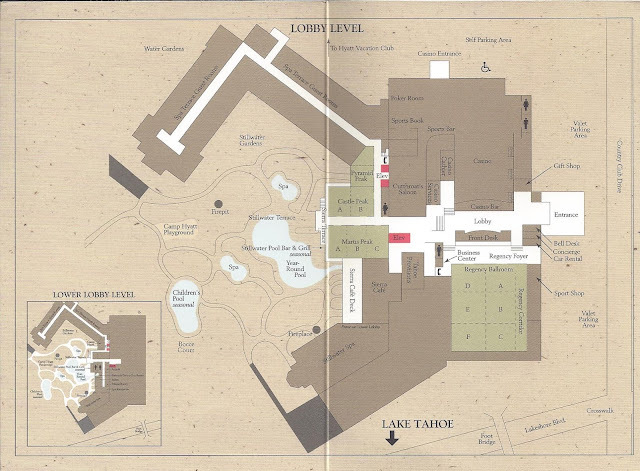 The 12-story hotel features over 400 rooms, lakeside cottages and is also a Hyatt Residence Club location, as Hyatt High Sierra Lodge is also a part of the property. 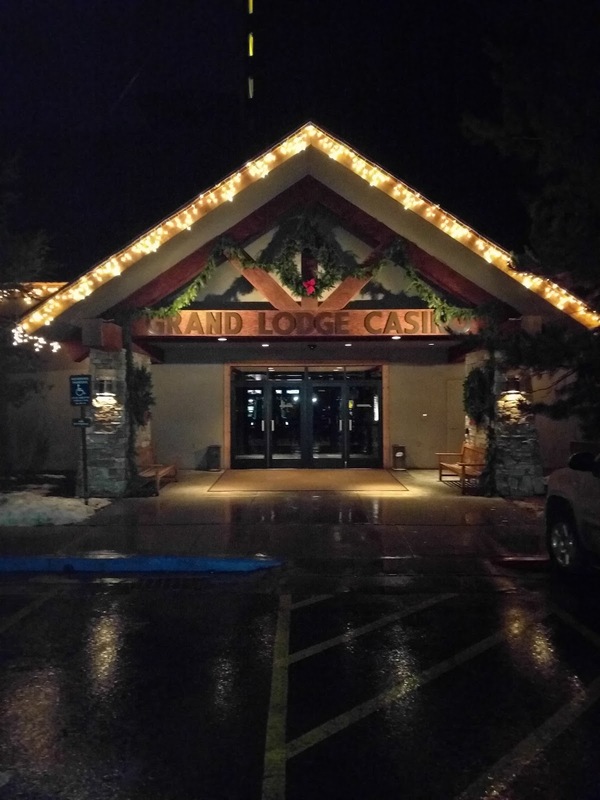 There is a 24-hour casino on the property, The Grand Lodge Casino, as well as a kids arcade, spa, and lots of great dining choices available. There is complimentary parking available (valet & self parking) and also shuttle service available in and around Incline Village. The hotel itself is not on the lake, but does offer some nice views of the surrounding area. To access the beach area, you'll have to walk a short distance and either cross Lakeshore Blvd or take the footbridge across. If you want to stay on the lake, you would need to stay in one of the 24 lakeside cottages available. The hotel has its own private beach for Hyatt guests and water sports are available seasonally. There are year-round heated pools, two firepits on the private beach and one firepit near the pool area. In winter, there are numerous locations nearby for skiing and sledding, including Diamond Peak, Mount Rose and Northstar, that are all within 20 minutes or less from the Hyatt Regency. The Northstar Village also offers shopping, dining and activities such as skating, bungee trampolines and other family-friendly activities. In summer, there are also great activities including water sports, kayaking, hikes, golf and mountain biking available whether on-site or very close by the property. Once you're done with the outdoor activities, you can try your luck at the Grand Lodge Casino, swing by the arcade, get a massage at the Stillwater Spa, make smores at the firepits or relax on the beach and enjoy the lake and mountain views. Offers all-day dining and is just past the hotel lobby offering American food and a buffet as well. The outdoor dining area overlooks the pool area. Great for grabbing snacks, small quick bites and also has a coffee bar. Tip: Grab your smores kit from Tahoe Provisions for making evening smores by the firepit. Our recent stay here was right before the summer season kicked off and the hotel didn't seem all that busy. I booked a regular room at the hotel and was upgraded to a Junior King Suite for being a Platinum member in the Hyatt Gold Passport program. An upgrade to a large room is always welcomed and gives us a bit more space for the kids to run around in. Note: I can see peak summer times and peak winter times being pretty busy at the hotel and at the Hyatt private beach area. I tried my luck at the casino and after a quick run of winning a little money, it all gave way to everything slowly being wiped out. The smores kit we got was a big hit and we enjoyed making smores nightly after dinner. The concierge folks we dealt with were very friendly and gave us a lot of nice tips for activities in the area, as well as making reservations for dining. If you plan on dining at the Lone Eagle Grille, I would make reservations as it is a popular location and fills up fast. When we stopped by to make reservations at the concierge, they also gave us a free coupon for a smores kit. Morning breakfast at Sierra Cafe was nice and as expected. Going for a walk after breakfast around the property is very pleasant, while breathing in the refreshing morning mountain air. Sledding was fun and only 10-15 mins away near Mount Rose and offered breathtaking views of Lake Tahoe and the surrounding area. Nearby grocery includes some small shops and a Raley's grocery store. Overall, I feel it is a great location and offers lots of things to do in both summer and winter around Lake Tahoe. 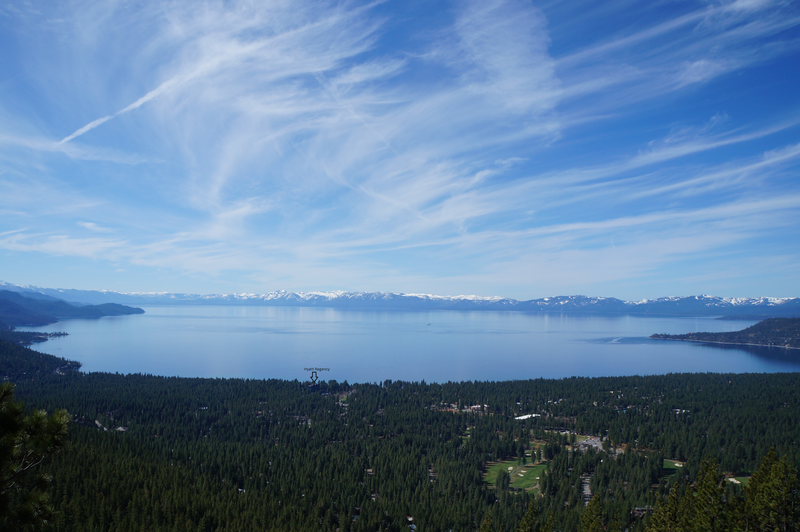 If you live anywhere in Northern California, a quick weekend getaway up to Lake Tahoe is only a few hours away and well worth your time.